Just less than 24 hours after a lunatic liberal activist opened fire on GOP congressmen at a baseball practice session, a driver in Washington D.C. has now reportedly ran into a motorcade for President Donald Trump. The vehicle struck a Secret Service agent while Trump was on his way back to the White House after a visit to the hospital to check on Steve Scalise. 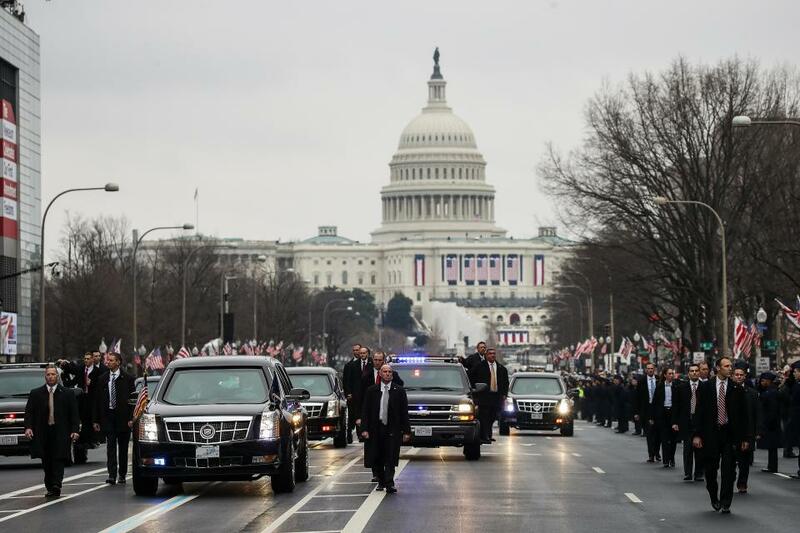 CNN reports that the Secret Service “had blocked a street for the President’s return to the White House” when the driver attempted to enter the motorcade route against all the verbal warning and obvious visual commands to halt his approach. It was then one of the Secret Service agents tried to block the vehicle’s progress into the route and was struck by the unnamed driver. The agent landed on the hood of the driver’s Mazda SUV. The so far unidentified driver was arrested and charged with assault with a dangerous weapon and it’s been reported that the Secret Service agent thankfully sustained only minor injuries. He later appeared in court to face only a failure to obey charge, CNN reported. It’s unclear at this point whether the assault with a dangerous weapon charge has been dropped or is simply being saved for another court hearing. Dovetailing back to the man’s excuse for veering into the motorcade, it honestly sounds awfully sketchy. How blind would one have to be to not notice a presidential motorcade? In Washington? Regardless, given the recent climate of hate against the President and his Republican peers in Congress — Trump was on his way back from visiting a man who was nearly killed because of it — it’s understandable that Secret Service agents would have been on edge when the driver failed to stop on command. WOW…if this man is telling the truth, what an idiot. How could he possibly be so dense as to ACCIDENTALLY run into a motorcade of the freaking President of the United States and furthermore STRIKING a Secret Service agent in the process? That’s is just FAR too ironic, especially with all that is going on right now. So it is quite possible that what would normally seem like a HUGE, HUGE, HUUUUGE offense, is just a man with the inability to pay attention while driving? Which by the way is his ACTUAL job!?! ?